F4R408, D4D760, D4D754, K7M764, K4M896. – Make sure the battery is properly charged to avoid damaging the computers if there is a low charge. – Use the appropriate tools. 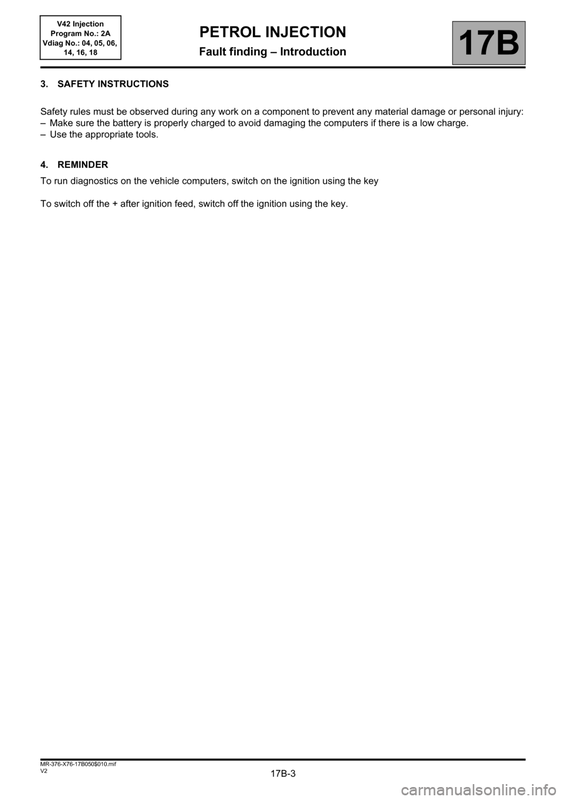 To switch off the + after ignition feed, switch off the ignition using the key. The relay is located on the cooling radiator. according to mappings that it has stored in the memory. 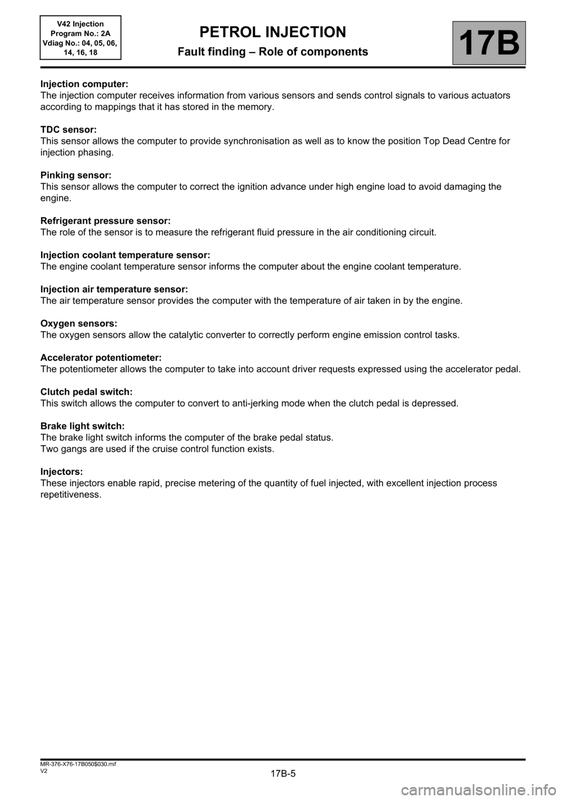 The engine coolant temperature sensor informs the computer about the engine coolant temperature. 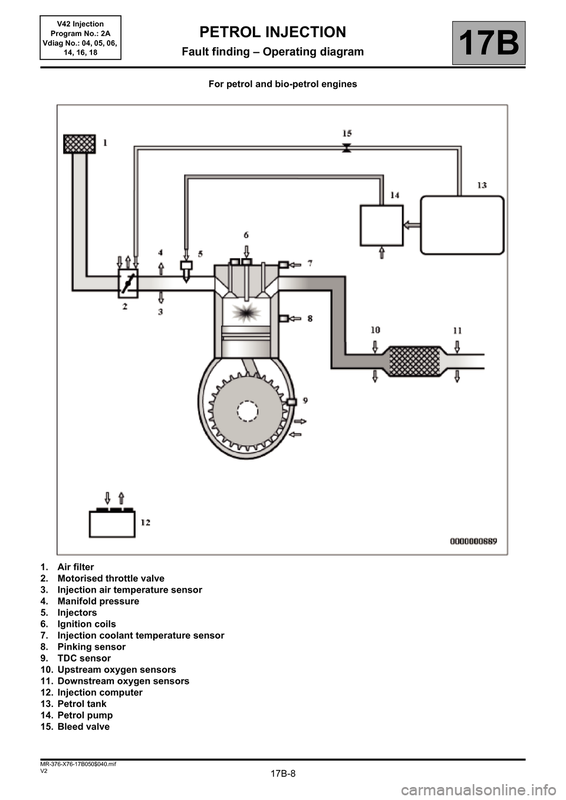 The function of the camshaft dephaser (VVT) is to vary the camshaft adjustment. 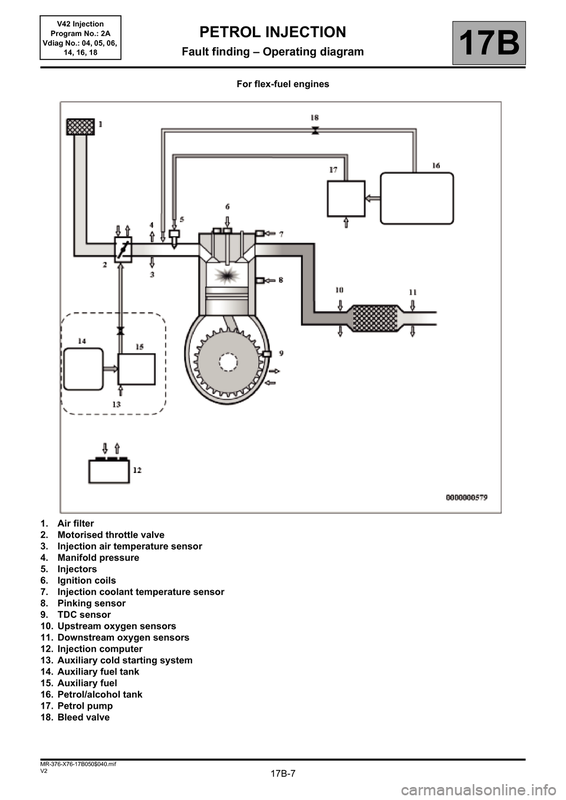 The system consists of a dephaser (hydraulic part that modifies the camshaft adjustment) and a solenoid valve. 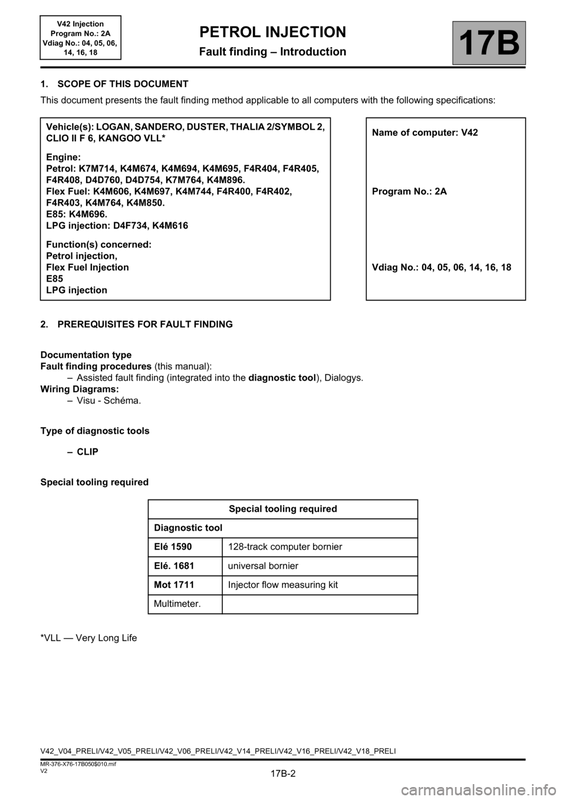 This Verlog 2 type immobiliser function is managed by the UCH computer and the injection computer. Before any starting request, the injection computer is protected. If the injection computer still fails to unlock, contact the Techline. start the engine. Clear the faults using the control RZ001 Fault memory. 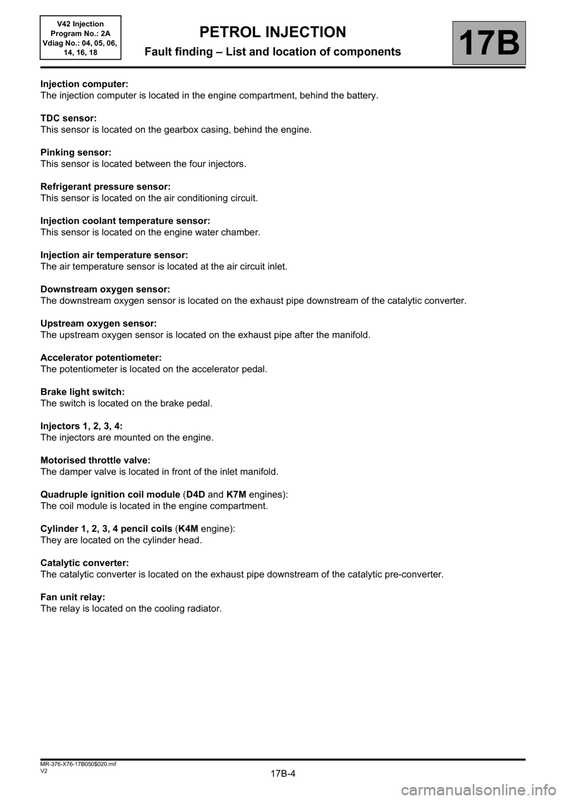 – To calculate the amount of fuel to be injected into the cylinders to avoid flooding the engine. Disconnect the injection system computer when carrying out any welding work on the vehicle. 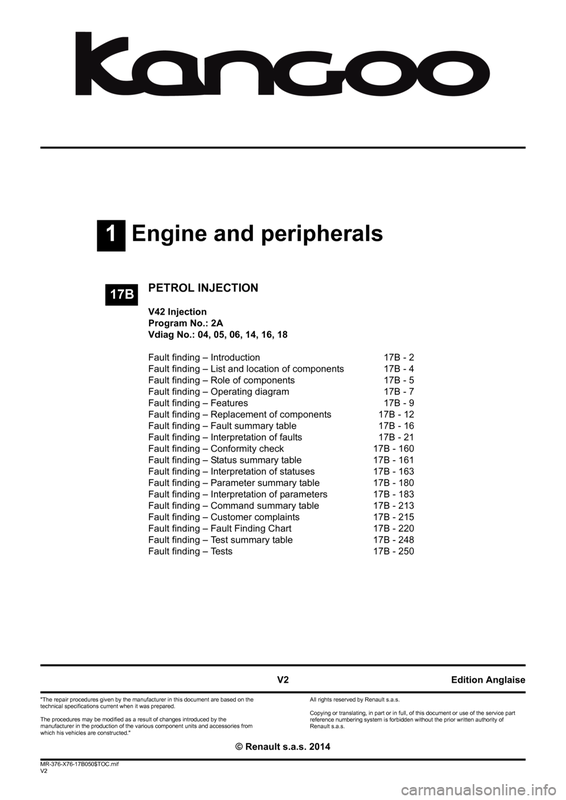 conditioning requests, electrical consumer use etc.). 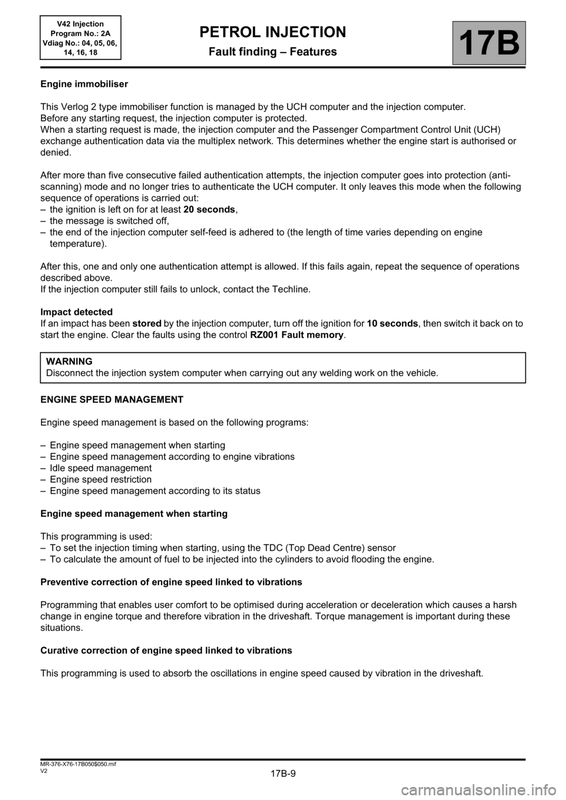 This is managed by a motorised throttle valve which is controlled by the injection computer. 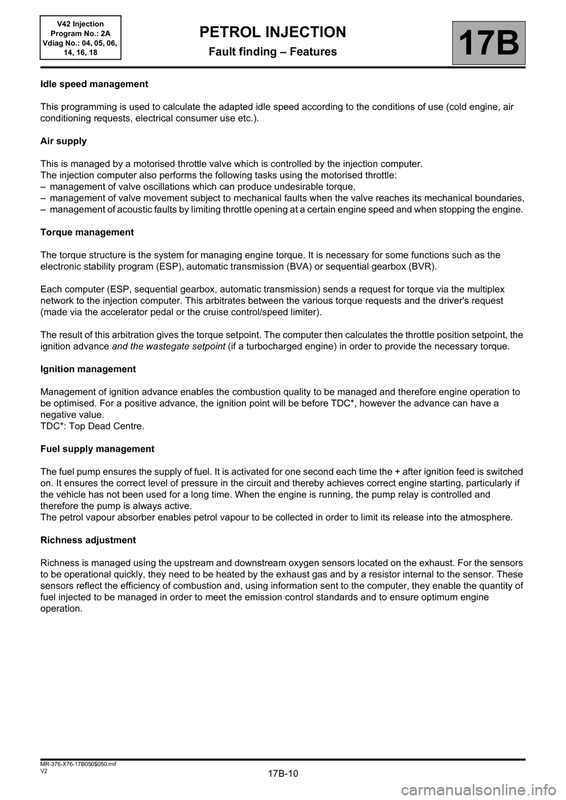 – management of acoustic faults by limiting throttle opening at a certain engine speed and when stopping the engine. electronic stability program (ESP), automatic transmission (BVA) or sequential gearbox (BVR). (made via the accelerator pedal or the cruise control/speed limiter). 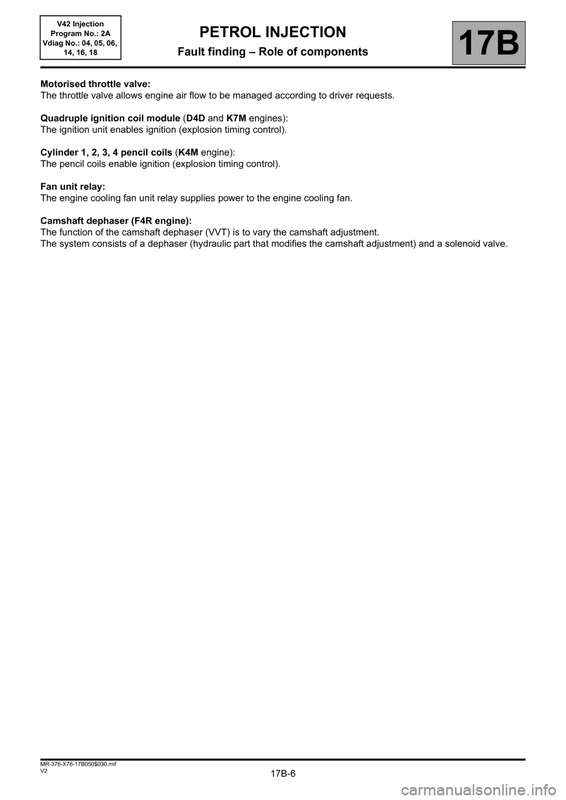 ignition advance and the wastegate setpoint (if a turbocharged engine) in order to provide the necessary torque. therefore the pump is always active. The petrol vapour absorber enables petrol vapour to be collected in order to limit its release into the atmosphere.